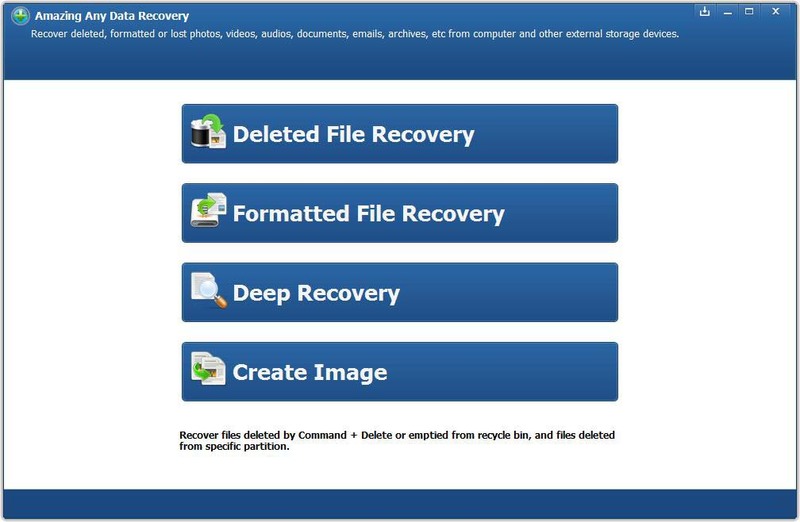 Any Data Recovery software can easily and quickly recover deleted, formatted, or lost data from your PC, laptop, or removable devices. 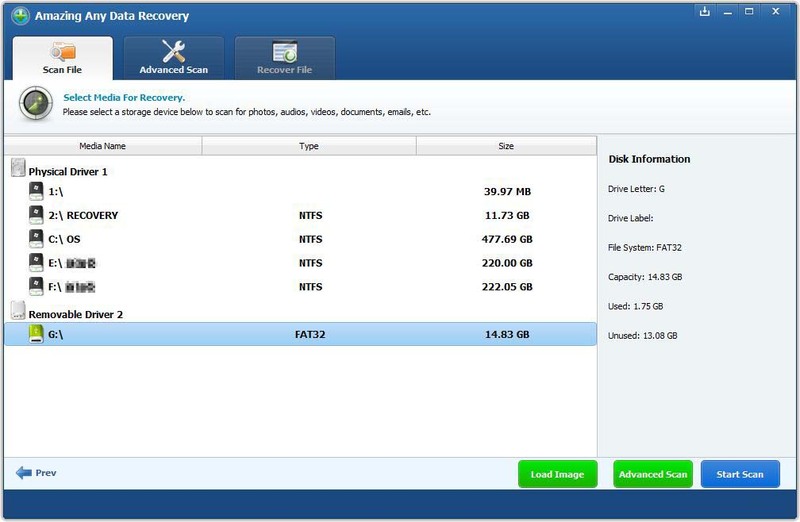 Download, install and launch Any Data Recovery on your computer. Select data recovery mode according to your need. Select a location where you lost data from and click "start Scan" button. You can adjust the "Advanced Scan" setting. 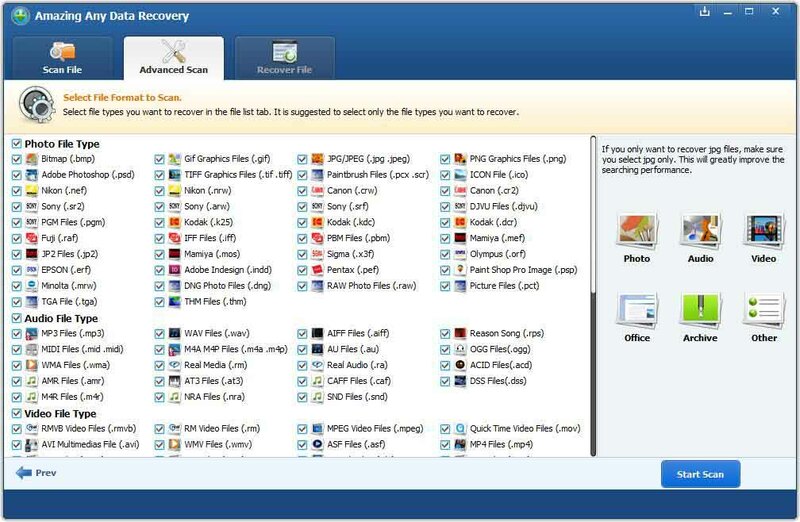 Any Data Recovery allows you to preview all recoverable files following a scan. 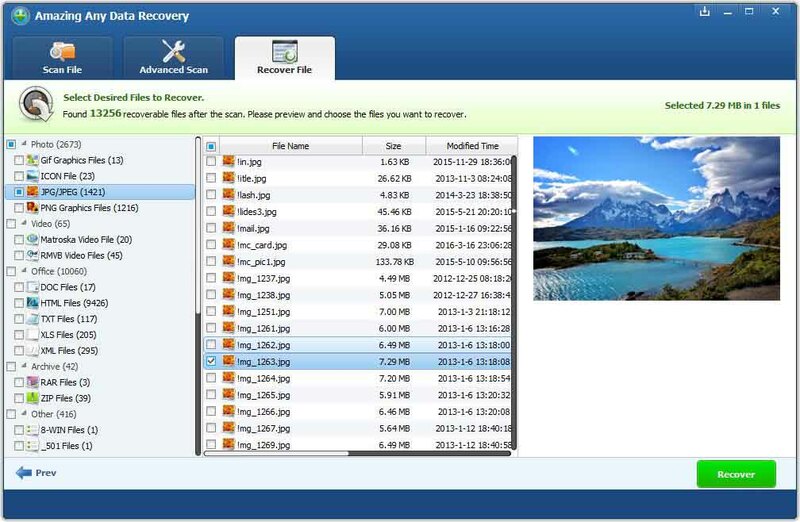 Select files and click "Recover" button to immediately get your deleted or lost data back. Please note: Don't save the files back onto the same hard drive partition or external device where you lost the data from.